If you haven’t seen last night’s “Mad Men”, and don’t want to be spoiled (as if the news media hasn’t gone on about it already) then stop right here. You’ve been warned! 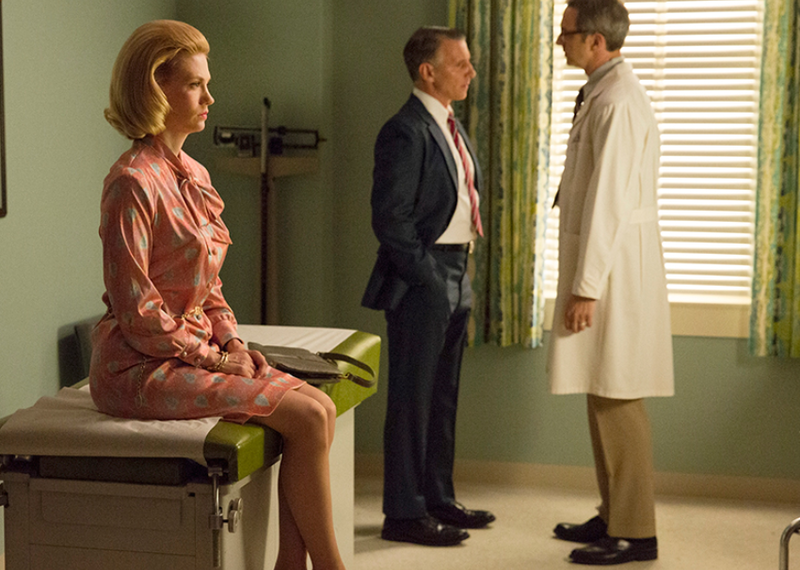 In last night’s ‘Mad Men’ (the second to last in the series) Betty finds out she has terminal lung cancer. Or her husband found out for her since it seems bad news could not be given to a woman back in the early 70’s without her husband being there. Was it always this way back in those post cultural revolution, polyester clad days? A woman was meant to be coddled, and bad news about her own health was to be placed on hold until her husband came to bear the brunt? At least Betty stood her ground and decided treatment would only create and prolong the agony. So sad, that such beauty, a lovely woman treated like a doll, who finally found her own footing, has to see it all end before she can fly. At least her decision, however difficult it is for her husband and kids – was hers and hers alone. Categories: Mad Men | Permalink.